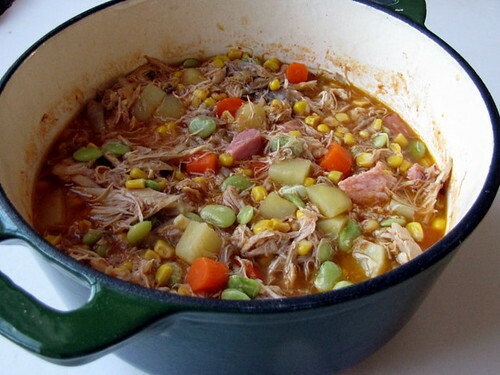 Brunswick Stew ~ I Can Do That! Very nice post-made me smile! Love your picture, it's so colorful with the green, orange, yellow and beige. And the addition of the poem at the end is a very nice touch. Your stew looks really thick and delicious - great job! Enjoyed reading your post. What a nice idea to add fowl! 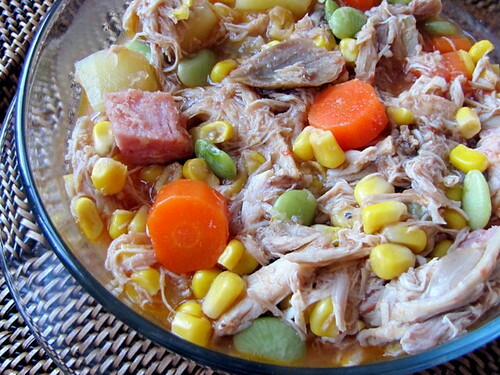 I remember having seen that in our grocery store - maybe I try it the next time when I make this stew. Yes, there will be a next time, because I thought it was extremely yummy. You've changed your blog design, haven't you? Hullo fellow Virginian! }:P Well done on the Challenge! A dish for the adventurous ! It must have been fate that you picked up the mystery fowl! Your stew looks YUMMY!! Great job! I think your stew looks exactly how I imagined the stew should look. Much prettier than mine. That recipe card is a wonderful addition to your post. I think your stew looks very delicious! Yummy! 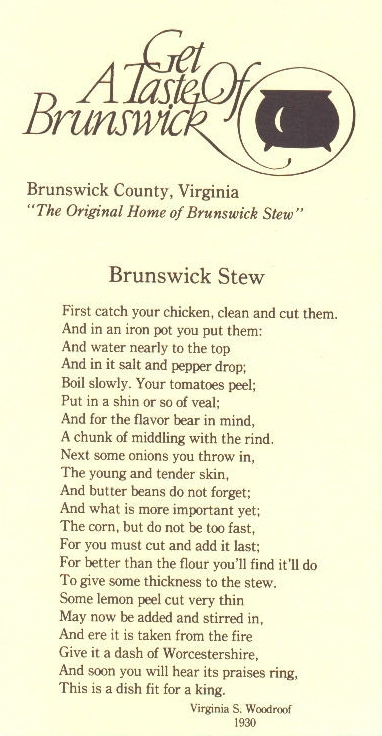 I love the image of the Virginia BS recipe! Yours looks good too! How did you stew the chicken, ham, and turkey.